In her debut, essayist, poet and former minister Jordan recounts a moving, humorous slice of her past spent pastoring a small congregation in Arizona. Spanning five years in the 1990s when the author was in her 50s, Jordan’s memoir artfully interweaves strands of her interior life, memories of earlier times and accounts of events from her ministry. Readers witness the author’s fears and doubts unfold on a grand scale, even as she conscientiously conducts mundane ministerial duties. Jordan confronts tragedy in her parish and in her family, while comedy bubbles to the surface when conservative parishioners rub up against Jordan’s unorthodox theology. “They’d want to explore my thinking about…Jesus,” she says upon first visiting the church. “While I served in Jesus’ name and thought of him as a model of goodness, I rejected the idea that he was a risen son of God….Instead, Jesus was a wise counselor like Harvey, the six-foot rabbit—a comic character in a play—who looked on and commented on the action. I’d have to make sure this little church was ready for me and Harvey.” Compassionate, robust descriptions of Jordan’s flock highlight both foibles and strengths, ensuring the reader’s emotional investment. Keenly aware of her own fragile humanity, the author self-identifies as a vulnerable seeker in a clerical collar looking for personal validation through life’s turmoil. She seeks emotional healing, marital restoration, knowledge of the transcendent and a way to shepherd her small flock—even the obnoxious ones. As she finally chooses to face the consequences of her persistent skepticism, Jordan’s articulate descriptions of wrestling with pivotal Christian doctrines evoke empathy, self-examination and admiration for her personal integrity. 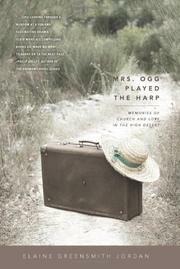 Enriching the memoir is the author’s attention to a broader sense of time and place; she frames many of her youthful expectations and decisions within the zeitgeist of her relatively simple 1950s upbringing, though she vividly documents the jarring realizations, in later years, that life turned out to be far more complex. A singular window into the spiritual journey of a progressive female minister, particularly relevant as Christianity wrestles with the roles of women in the church.